SB 1154, introduced by State Sen. John Yudichak is designed to help district attorneys investigate and prosecute illegal gambling operations involving animal fighting. Under current law, $2 million is transferred from the State Gaming Fund annually to the Gaming Control Board to be used as grants for local law enforcement agencies to investigate illegal gambling. Senate Bill 1154 would require that $250,000 of the $2 million appropriation be transferred to the Attorney General to issue grants to local district attorneys to investigate, prosecute and enforce laws relating to illegal gambling that involves animal fighting. Animal fighting is a contest in which people urge two or more animals to fight for the purpose of human entertainment. In some instances, one of the animals may be a bait animal used for the ostensible purpose of sport or training. 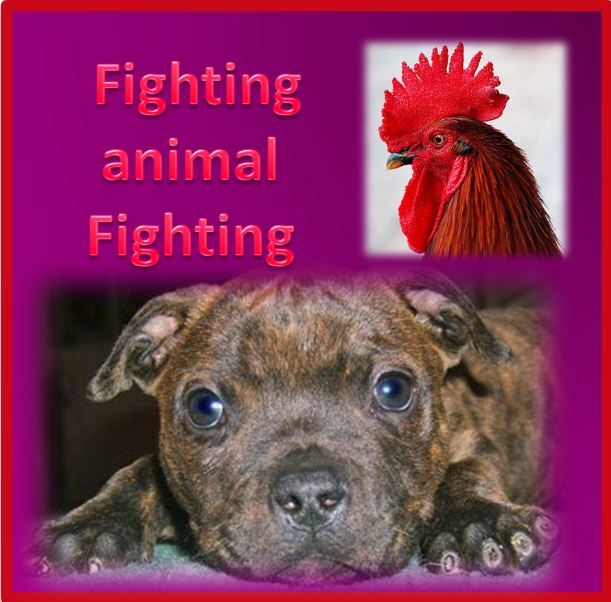 Dogfighting – in organized dogfighting cases, two dogs are put into a ring or pit to fight until one cannot continue or dies. In street dogfighting cases, the level of organization is substantially lacking and fights occur, sometimes spontaneously, in secluded spots within city parks, school lots, alleys or other similar locations. Cockfighting – handlers attach a razor or gaff to each rooster’s leg (typically the left leg) and put them into a ring to fight to the death. Spectators often consider the events to be family entertainment.